Saras Rao, the chef-owner of Curry Corner Takeaway, oversees the restaurant's tiny kitchen. Oakland's standing as a world-class food city is almost unquestioned at this point. Berkeley is hailed for its role as the birthplace and epicenter of California cuisine. And cities like Richmond and Alameda have their proponents. But when it comes to Bay Area food destinations, hardly anyone ever talks about Hayward. And yet: Having spent the past several weeks eating my way through the so-called "Heart of the Bay," I've become convinced it is the East Bay's most underrated food city. To be clear, no one should head to Hayward in search of fine dining or even trendy mid-range restaurants. But if you're a fan of the kind of scrappy, low-key, immigrant-run spots that I hold close to my heart — Hayward can go toe-to-toe with any other East Bay city. Part of the reason Hayward's food scene doesn't get much shine may have to do with how vast the city is — nearly as large as Oakland, much of it flat and same-looking, especially to the out-of-town visitor. The most notable restaurants aren't concentrated in the downtown area, but are instead spread across the generic-looking strip malls that line the city's main thoroughfares. 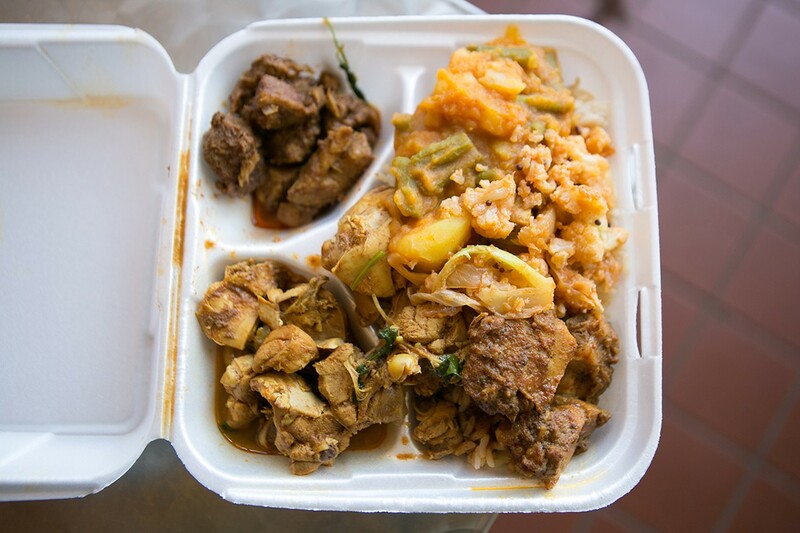 Take Curry Corner Takeaway (26657 Mission Blvd., 510-581-4003), for instance. This tiny, 16-year-old takeout spot is tucked in what is now a decrepit, mostly abandoned strip mall — it isn't a restaurant you would likely ever stumble across by accident. 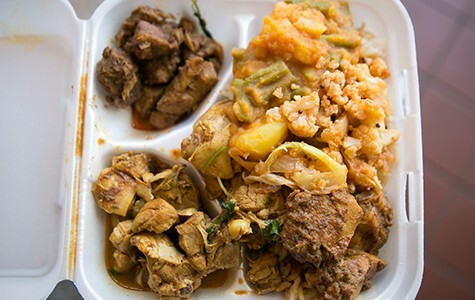 But regular customers swear by owner Saras Rao's Indo-Fijian home cooking — an array of curries, mostly. On some days, there might be a cardamom-tinged goat curry; on another, some curry-tinged pieces of fried sole. During my recent visit, there were pork spare ribs in a pool of spicy, red-tinged oil; chicken stewed tender on the bone; and a little scoop of cauliflower sautéed with scrambled eggs. Every day, Rao sells just one set meal for $8 tax-inclusive. You'd be hard-pressed to find a better deal anywhere. 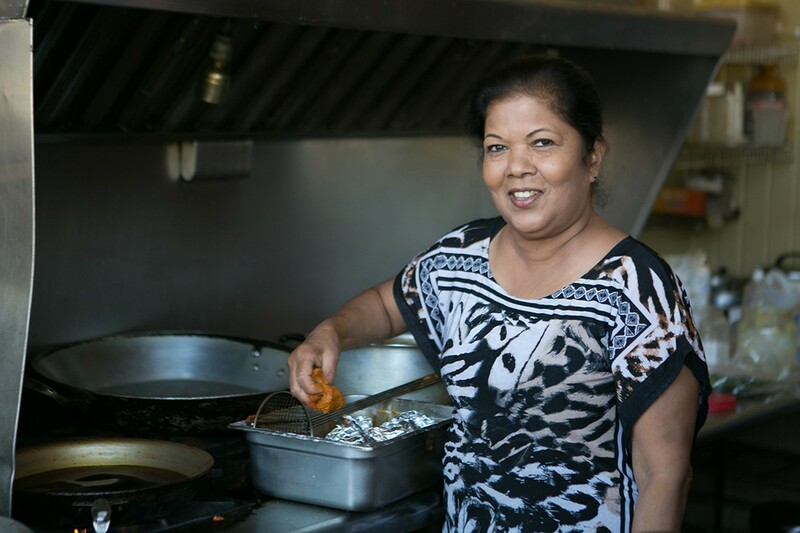 Even though the restaurant is mostly a takeout joint, there's a little table where you can sit and eat, and make small talk with Rao, who every so often might offer you a cup of lentil soup or a sample of whatever else she happens to be cooking. It's like hanging out in your favorite auntie's kitchen. Curry Corner is one of those restaurants that's so perfect in its own way, that you fear it can't possibly last. Indeed, Rao said she worries the whole building is falling apart. She's on a month-to-month lease, and the landlords have been unresponsive. Maybe she'll stay open another few years; maybe she'll have to close next month. This much is clear: If you love food, this is a restaurant you need to visit while you still have the chance. For as little as we food-media types talk about Hayward, the city is home to a surprisingly large number of restaurants that are the best in the East Bay in their respective categories. So, in addition to the best (and only) Indo-Fijian restaurant, Hayward is also where you'll find what may be the area's best Chinese vegetarian restaurant, Veggie Lee (25036 Hesperian Blvd., 510-785-7133, VeggieLee.com). Chef Che Heng Lee — whose nickname is, in fact, Veggie Lee — is a Daimo alum who brings the skill and technique of a topnotch Cantonese seafood chef and applies it to the world of vegetables and wheat-gluten-based mock meats. The result is that dishes like the mushroom-stuffed pan-fried bean curd roll, the sizzling eggplant and vegan fish-steak stir-fry, and even the vegan sesame chicken all have a surprising degree of refinement. If all those vegetables leave you feeling a bit too virtuous for comfort, Caesar's Chicken (19450 Hesperian Blvd., 510-786-9755), just a couple miles up the road, is the antidote you need. A Hayward institution going back several decades, this old-school takeout counter basically serves two items: huge buckets of fried chicken and slightly-less-huge buckets of red-sauce spaghetti. Folks, this is some of the tastiest fried chicken I've eaten in the East Bay — with a craggy, intensely flavorful crust, and meat that's juicy and tender well beyond expectation. (It's probably most similar in style to the fried chicken at Oakland's Lake Merritt Bakery — before the food started to go downhill.) Meanwhile, the spaghetti was what my dining companion dubbed "schoolyard spaghetti" — noodles cooked well past al dente, but saucy and rich in a way that will hit that comfort-food sweet spot for anyone who grew up eating at a certain kind of red-sauce Italian joint. For those who have decided to hit several of these spots in a single go (a wise choice), this would be a good time to take a brief, family-friendly interlude. Walk across the street to Kennedy Park, where there's a carousel, a petting zoo, and a kiddie train ride, and where generations of Haywardians have celebrated their kids' birthdays — all at the same time, it seems, if you go on a busy Saturday or Sunday. With your bucket of fried chicken in one hand and bucket of spaghetti in the other, you'll be all set to dig into a decadent impromptu picnic. No regrets. Where Hayward truly excels is in the homey, family-run dining establishment. No place embodies that spirit better than Katalina's Island Grill (821 Sycamore Ave., 510-200-9504), a Tongan restaurant with the look and feel of an old-fashioned general store, where everything on the steam table is lovingly prepared by owner Katalina Pahulu and her three adult children. This is Polynesian island-style home cooking, pure and simple, with a number of specialties you'll have a hard time finding anywhere else in the East Bay: corned beef steamed inside of taro leaves, or fatty, teriyaki-brushed turkey tails roasted until the skin crisps and the meat is impossibly jiggly and soft. Another thing that Hayward has that, say, Oakland (to my knowledge) doesn't have is a drive-thru taqueria — a miraculous thing. Open since 1979, Taqueria Senaida's (150 W. Tennyson Rd., 510-783-6031, SenaidasTaqueria.com) is the spot to hit when the kids are napping in the backseat and you still aim to bring a mess of burritos home for dinner. I didn't much care for the more traditional meats like the carnitas and the weekend-only birria, which both turned out to be a bit too dry and stringy. The winners here were the more Americanized offerings: ground-beef crispy tacos that would satisfy the cravings of any secret Taco Bell aficionado, and San Diego-style carne asada fries that were legitimately great — crisp, fluffy fries buried under a mountain of grilled steak, pico de gallo, and nacho cheese. Mostly what I appreciated, though, was the laid-back vibe of the place — families chowing down at the cluster of picnic tables adjacent to the takeout window, and an employee in a ranchero hat walking down the line of cars taking orders, just like at In-N-Out. No Hayward roundup would be complete without a nod to the city's bevy of vibrant Indian restaurants. Open for about a year, Apna-Dhaba (32513 Mission Blvd., 510-324-8700, Apna-Dhaba.com) is one of the newer additions and one of the most unique. It's the only East Bay Indian eatery I'm aware of that's modeled after India's dhabas, or truck stops — roadside restaurants that cater to long-haul truckers. Apna-Dhaba features a large tented outdoor seating area that's inspired by these truck stops, as well as a menu that's heavy on street-food style dishes you won't find at many other Indian restaurants: a chicken liver stir-fry, for instance, or the well-spiced scrambled-egg dish known as egg bhurji. These are fiery, boldly seasoned dishes — an excellent vehicle for cold beer and several orders of the restaurant's uncommonly good naans and rotis. When lit up at night, the restaurant glows like a beacon to cars passing by. 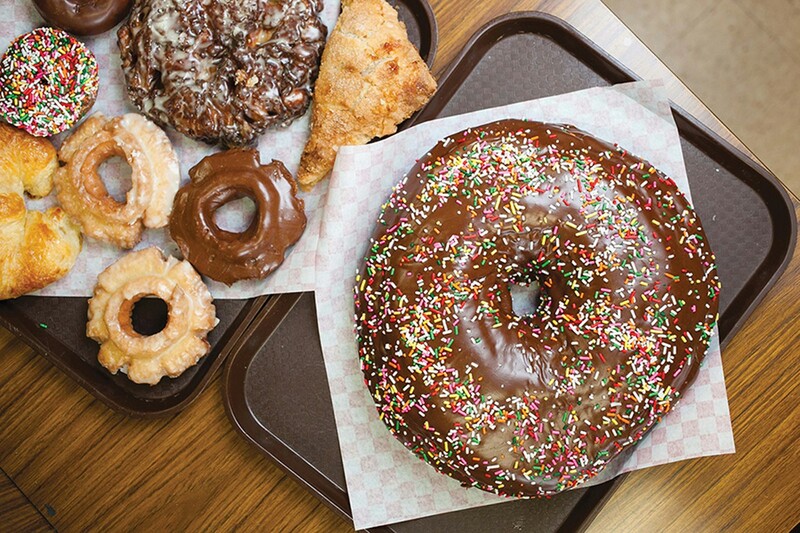 Those who make a point of ending every food excursion on a sweet note will want to rush over to World's Fare Donuts (20800 Hesperian Blvd., 510-782-1159) before it closes for the night. But as with any doughnut shop, the best time to visit is in the morning, when the selection is at its freshest and best. Either way, though, you won't regret paying a visit to this Cambodian-owned shop, whose charms include its wall-to-wall lotto-scratcher machines and a crowd that spans a healthy cross-section of Hayward's working-class, immigrant communities. But you are here for the doughnuts, which are some of the tastiest, and almost certainly the largest, that you will ever have the pleasure of eating: apple fritters the size of a baby's head and, if you're feeding a crowd, a birthday-cake-sized doughnut as wide as the steering wheel on a car. As with so many of Hayward's great, unheralded eateries, it is a place that's worth seeking out — whether you've ordered a giant doughnut to celebrate some special occasion, or just when you're in the mood for an everyday kind of food adventure.